Hello peeps! Welcome back to another empties product review. It sure had me took me a long time to upload this.. Anyways (heh) ^^. Strength(s) : Mild and gentle on the skin, leaves the skin clean and fresh. Weakness(es) : High end pricing but moderate packaging quality. Repurchase? 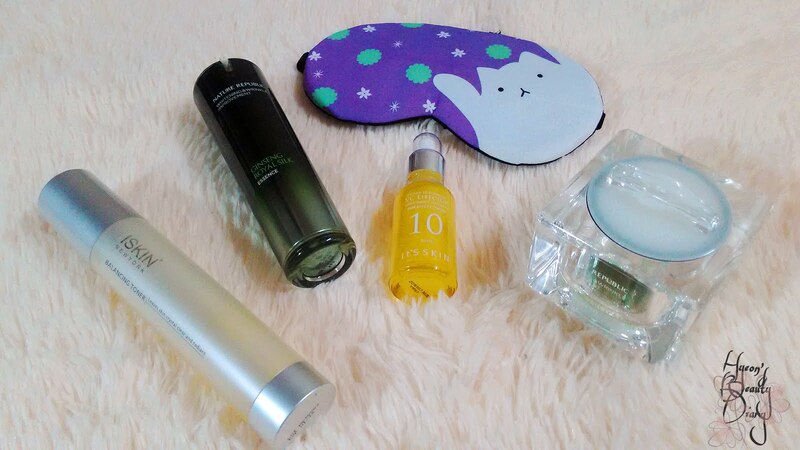 Honestly, I won't repurchase if using my own money. Since I got it as my "staff benefit", I would say it is one of the recommended items among the series. Strength(s) : Provide moisture fitting makeup base/primer. Weakness(es) : Moderate product, lack of "wow" factor. Repurchase? Nope, anyway I believ this product has been discontinued. Strength(s) : Mattify and set makeup nicely, provide oil-cut smooth makeup effect, price affordable. Repurchase? Yes, provided it is still on the shelf! 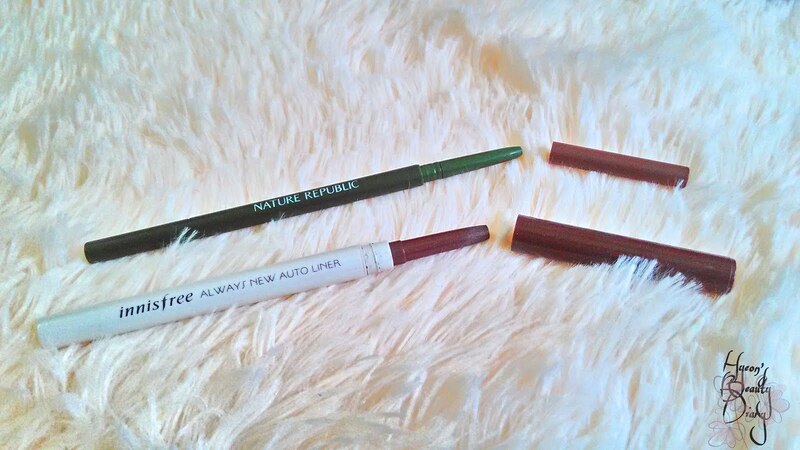 Strength(s) : Super slim pencil which enable to draw strokes that mimics natural eyebrow. Weakness(es) : Packaging is too small like I could finished the product within a month (nawwww). Strength(s) : Creamy formula, excellent color payoff, "always new" design by turning the cap itself to sharpen the pencil is brilliant! Weakness(es) : The cap is hard to close tight (in fact I broke the pencil inside for a few times because of that zzz). Comment : The color payoff right after first hair wash was pretty impressive (cause I love orange hair color!). 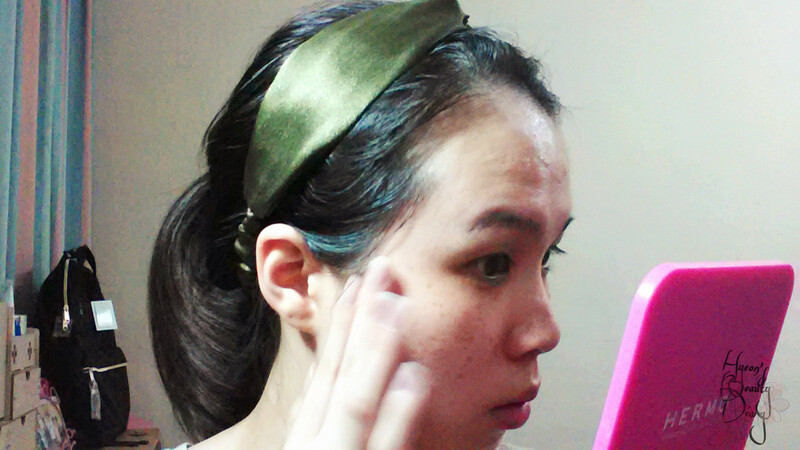 However, the color starts to fade away in the next 2 days, leaving a natural brown-tone hair color (hmm). Comment : Super rich moisturizing cream (that's all I remember heh). Purchase full size? 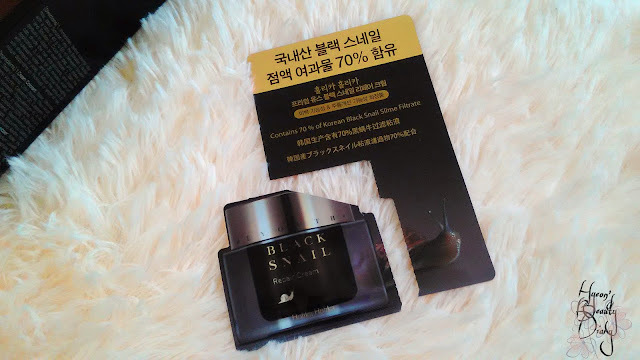 Personally not really fancy about snail cream, so nope. Wow, that's a quick one. What do you think? Good evening peeps! Ready for bed? Uh-uh, not just yet. Question: What is the biggest difference between morning & evening skincare routine? Without further delay, let's reveal my simple 1-2-3 evening skincare routine! This is just a simple demonstration on my evening skincare routine, so I will not include removing makeup and cleansing process (yes, it is important as well). Tonight I would rather skip that part and share with you starting from the toning step. Step ①, tone your skin. The reason is the same as what we had mentioned in last month. One, to remove dirt or any other stubborn residue after cleansing. 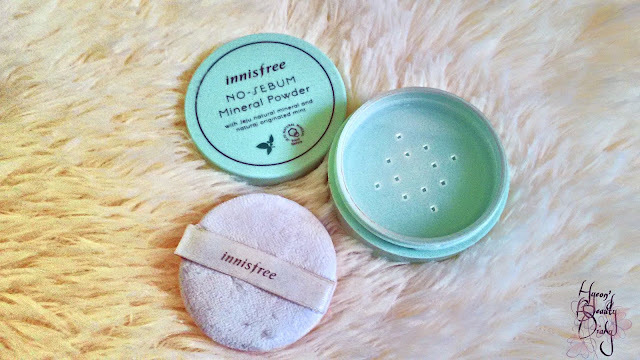 Two, to prepare your skin to better absorb products you gonna apply later on. 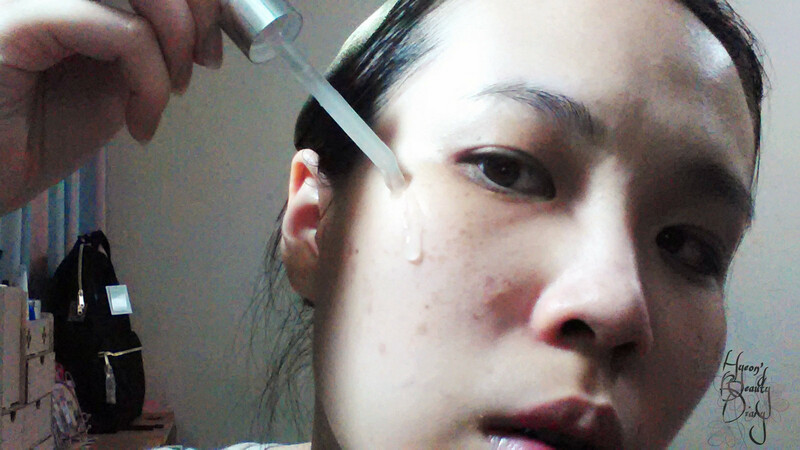 Step ②, apply eye cream/anti-aging essence. This might sounds different from other skincare routine you've heard before. Everyone knows eye care products are relatively pricy. 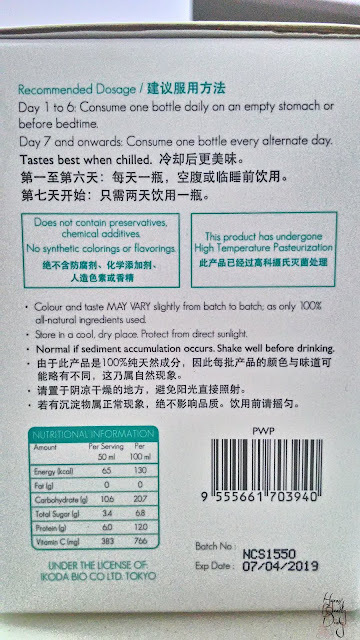 I wish to get the best out of the product. In order to do so, I would first apply eye cream/anti-aging essence before any skincare product, so that my skin can absorb it goodness to the fullest. I'm using Natural Republic's Whitening & Wrinkle Improvement Ginseng Royal Silk Essence. It is not an eye cream by nature, but I find the essence is a good substitute for an eye care product. Alternatively, I also use ISKIN's Nourishing Eye Gel. Take an appropriate amount and apply it around your eyes. Most importantly, massage until it fully absorbed! It's a long day, and it's time to nourish your skin and allow it to recover during night time. Any moisturizer should be fine, depends on your skin type. If you have oily and sensitive skin, make sure you choose moisturizer don't burden your skin which will irritates it to secrete more oil on the face. Mine is combination skin type. My cheeks and neck is quite dry, hence usually I will load up moisturizer on these areas. 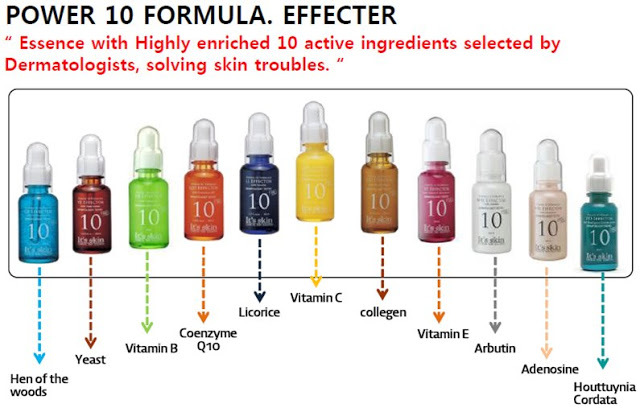 I'm using It's Skin's Power 10 Formula VC Effector with Vitamin C derivatives. It's a serum type of moisturizer. 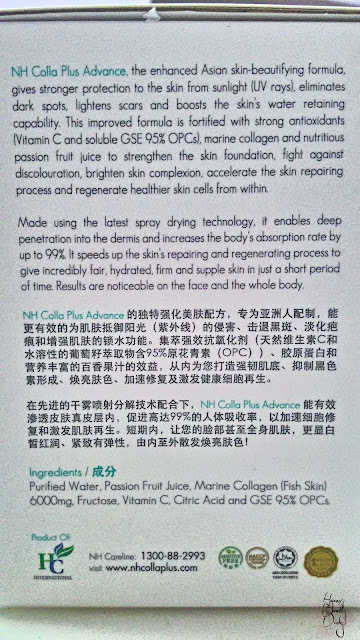 Easily to be absorbed by skin. For me, I would apply a layer on my whole face. 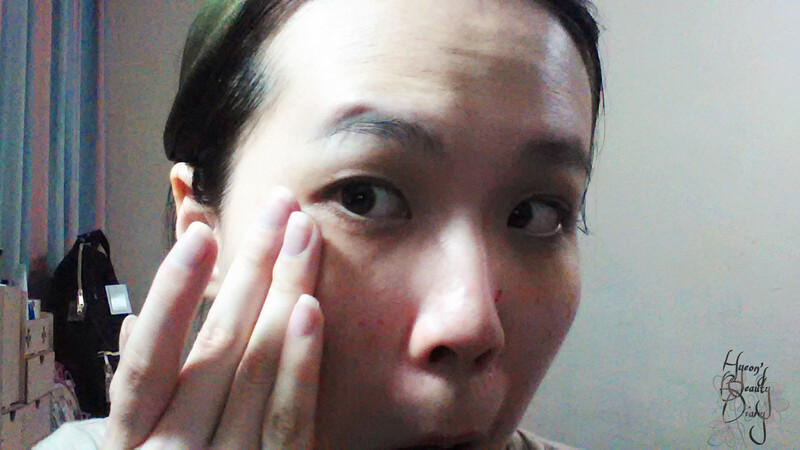 Then wait for 1~2 minutes, apply another layer on certain spots which still appears dry. 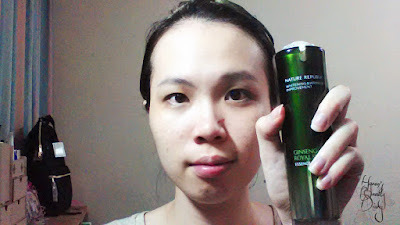 This might not be the best moisturizer, but I enjoy using it because of it's light texture and calming fruity scent. 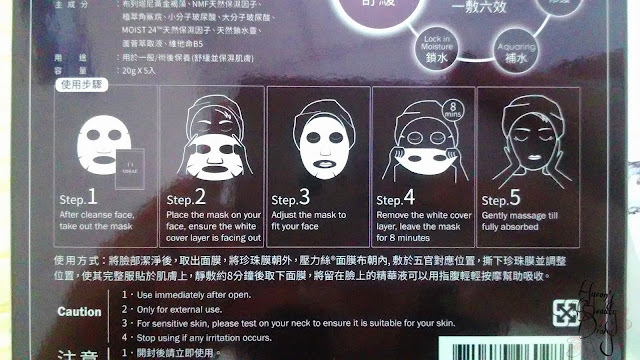 **Bonus step, apply sleeping mask or mask pack or watery cream. This is absolutely optional. Personally, I would apply another layer of watery cream or sleeping mask to seal everything applied earlier underneath. The layering theory. 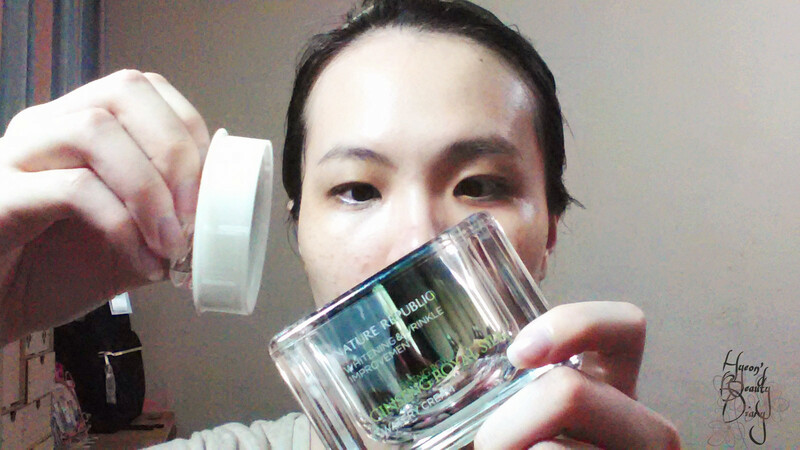 I'm using Nature Republic's Whitening & Wrinkle Improvement Ginseng Royal Silk Watery Cream. 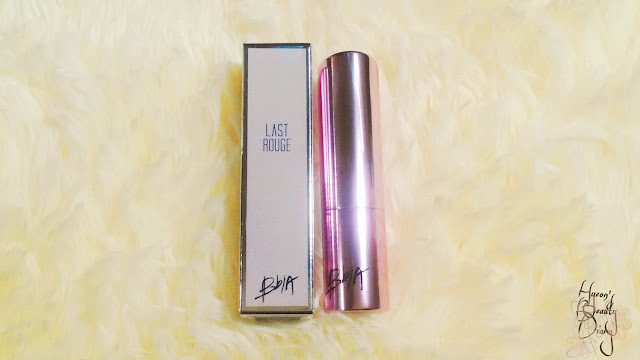 If you had been following my blog post, you can tell that I've shown many love to this product. Rich in moisturizing yet wouldn't cause a burden to my skin. All I need is just take a small amount and apply a thin layer on my face. Then wait and watch it melts on your face, and absorbed. Bear in mind, this is just a demonstration of my own evening skincare routine. Don't need to follow exactly (heh). Be creative and observant. Try to understand what does your skin really needs. 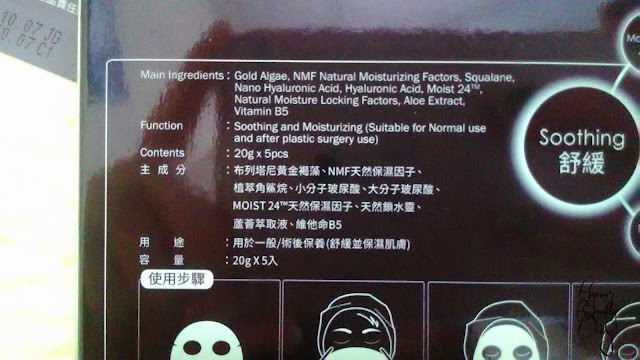 Repair and moisturizing? Whitening? Acne trouble and clearing? 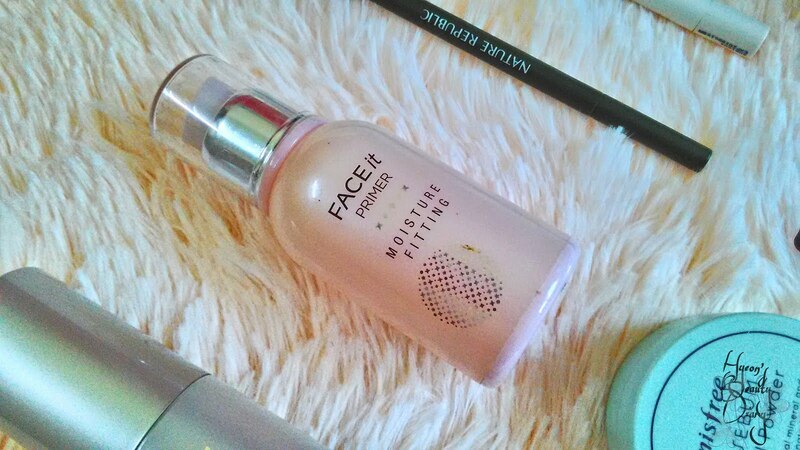 Pore minimizing? Anti-aging?? Identify and tackle your skin problem on a priority basis. A bit of a change. I'm gonna share with you a different kind of product review. It's something you can drink for your skin, instead of applying on your body. Probably you have came across this brand before in Malaysia. 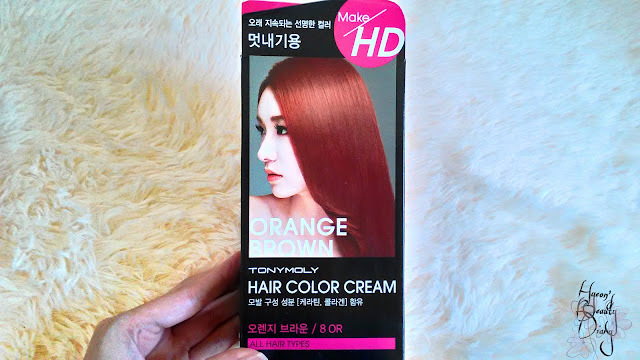 It is widely available at Watson, a drugstore chain. 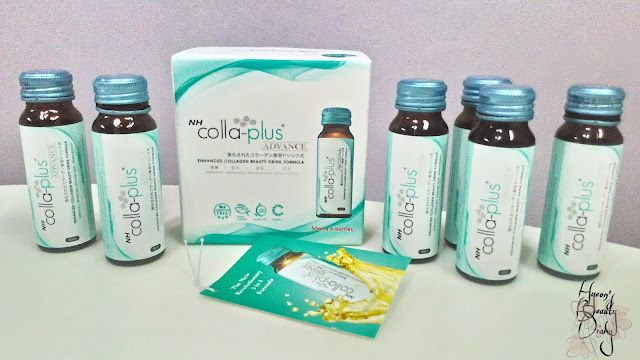 Surprisingly, thou this product is alleged manufactured by Japanese company (under the licence of Ikoda Bio Co. Ltd. Tokyo), this brand is actually originated from Malaysia (under Herbalceutical (M) Sdn. Bhd.). Why I ended up purchasing this collagen drink? Frankly speaking, I wasn't targeting on it at first. 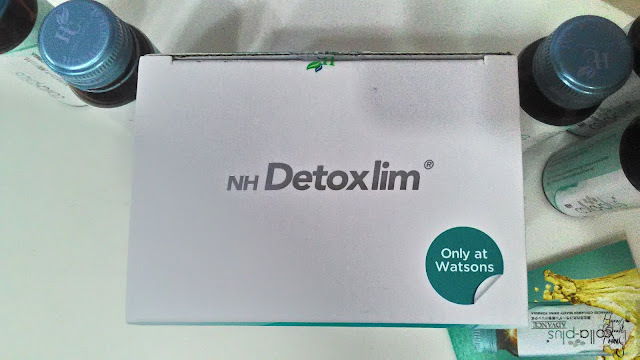 So happened I noticed there is a PWP event at Watson where this trial package is selling at half price, which is RM28.20, provided you purchase above RM30 and/or purchase any Watson's merchandise. 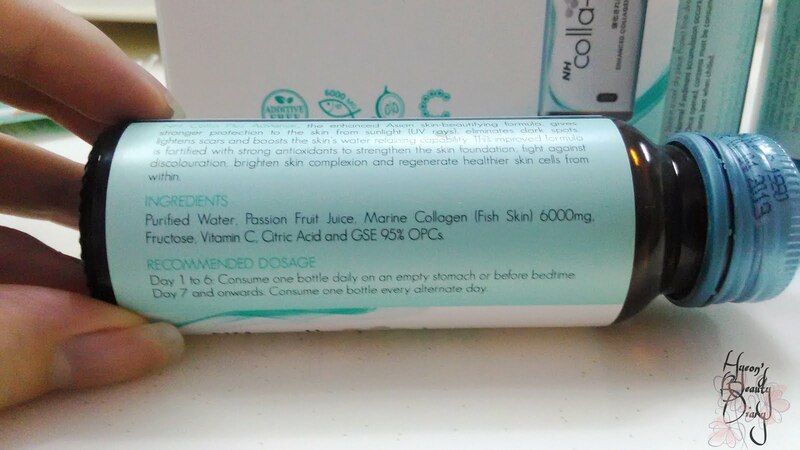 I thought RM4.70 per bottle of collagen drink is rather cheap. Both my colleague and I we went back and do a some research about it. Then we decided on the next day to give it a try (why not?). 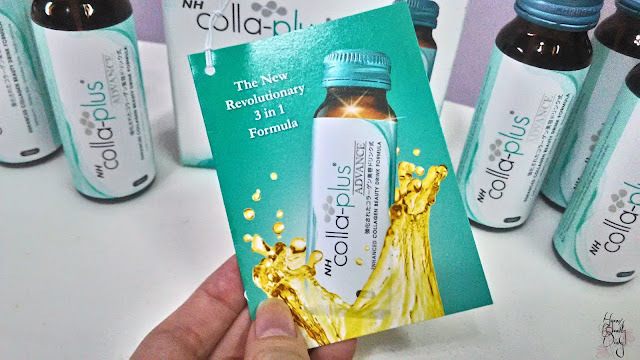 Okay so why drink collagen drink? My concern is, what I'm applying to my skin is just on the surface. What about the inner skin? 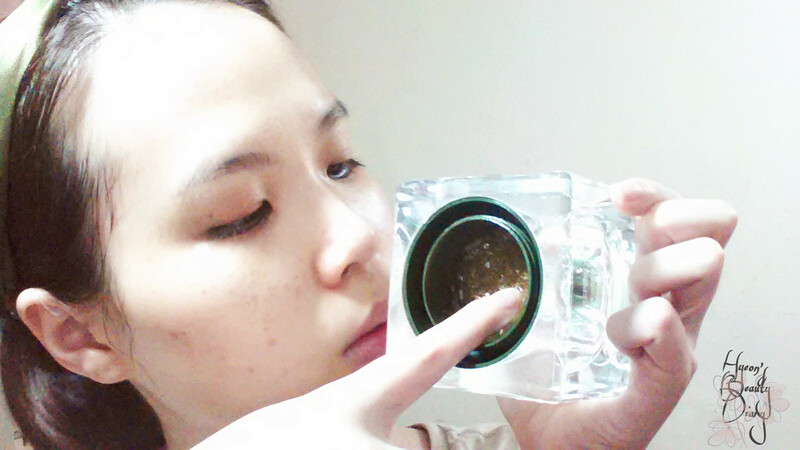 It sounds really fancy to beautify your skin from inside out - inner shine. And how good if it really delivers what it claims? This is my first time consuming collagen drink. I was a little bit anxious about the taste when I looked at the ingredient list. To my surprise, it isn't that bad after all. Not sure for you, but to me, it tastes more like mango than passion fruit (heh). Well, maybe the last bit in a gulp would taste like fish oil, just have a sip of water and the unpleasant taste will fade off in a sec. The recommended dosage for the first 6 days is to consume a bottle daily on an empty stomach or before bedtime. What I did for the next 6 days was to consume a bottle every morning before breakfast. What do I observe after the 6-day course? 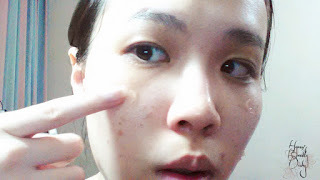 If you ask whether do I observe significant skin improvement? Not actually, well what do you expect within just 6 days? 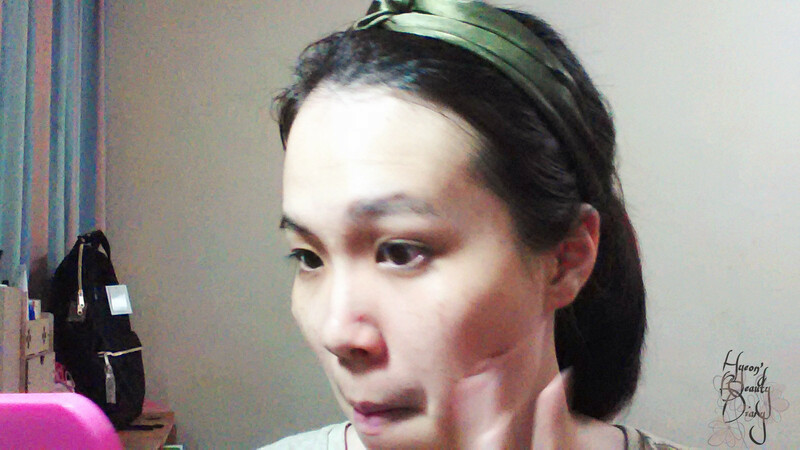 Well, I do observed that my skin is smoother and softer after the trial course. 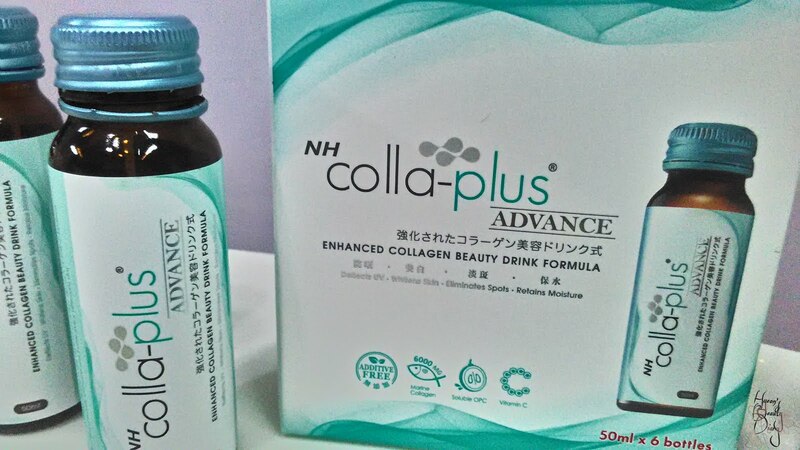 (Can I say for sure it's because of this collagen drink?) 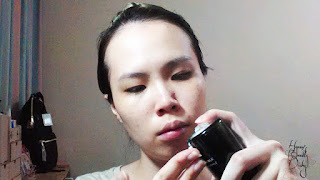 No, I can't say for sure as I was trying out some other skincare products at the moment. Would I purchase full size package? To be honest, I'm not looking into collagen drinks at the moment. 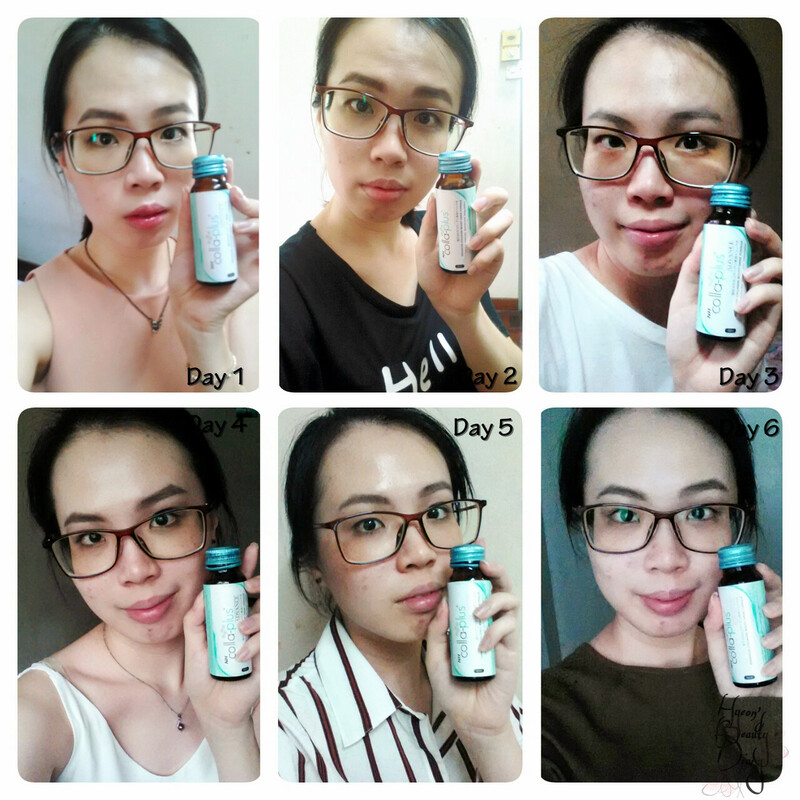 Throughout this 6-day trial course, I was really excited every morning when I woke up and look forward to see skin improvement, and I enjoyed the whole process. Even though I can't observe significant improvement fortnightly, but I believe these are good stuffs and good for our body if you consume for a long period. So if you have some extra money to spare, I would recommend you to try out this short trial course (depends on the stock availability) then decide whether to purchase full size or not. Repurchase: Not at the moment. For your reference. For further readings, click here. 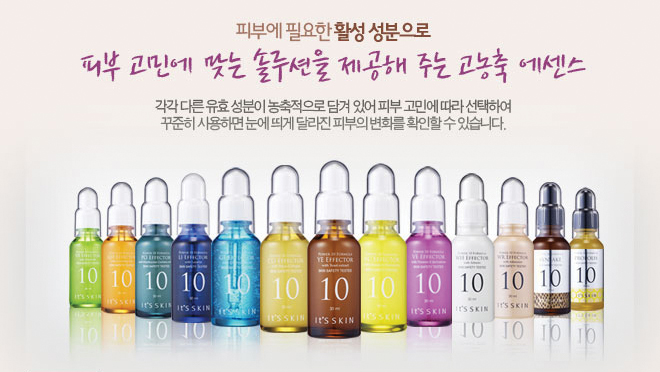 Previously I mentioned about keep trying on other serums from It's Skin Power 10 Formula series. Here we are with another update on the series, none other than the VC Effector! I know, many might be familiar with this series because it has been in the market for quite some time. But isn't it the reason why they are still surviving in the market obvious? Continuous good reviews and price affordability (of course!.. well at least that's what I believe). A quick overview of the full Formula 10 series. Apparently, Power 10 VC Effector is the best seller among the rest in the series. It is always out-of-stock on Hermo, but luckily Althea has it for RM25. 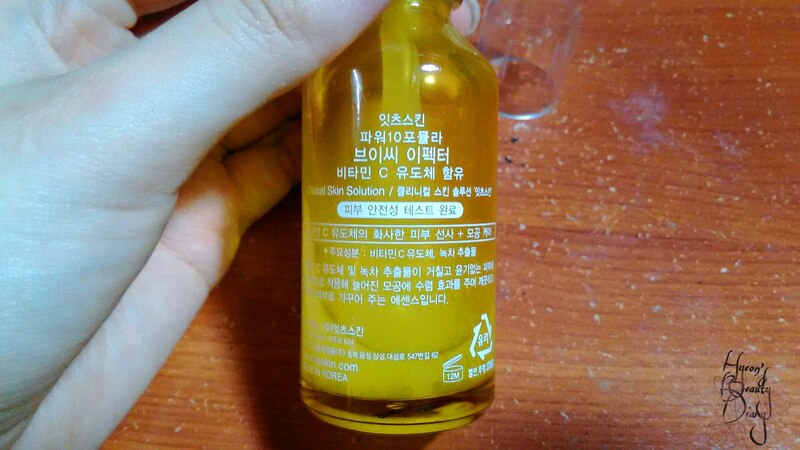 As you can see/tell, Vitamin C always connects with whitening effect. 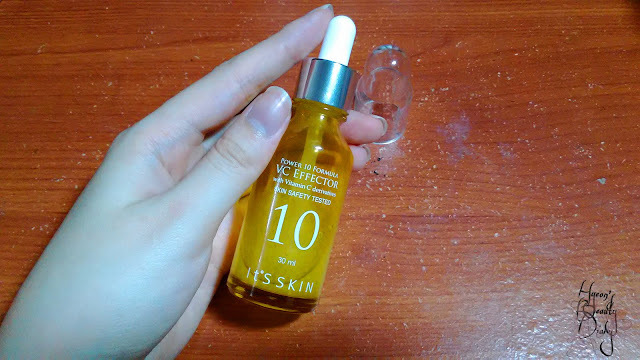 According to the product description, briefly, this serum contains Vitamin C and Green Tea derivatives which (supposed to) suppress melanin production and stimulates collagen synthesis. Benefits? Helps to reduce the appearance of skin discoloration, refines skin textures (smooth and soft texture) and reduces enlarged pores. Question: We are always told that Vitamin C needs to be kept in low temperature and avoid sun exposure. Do we need to keep VC Effector inside the refrigerator?? Answer: The theory only applies when your Vitamin C serum contains L-Ascorbic Acid, which is the most effective form of Vitamin C. However, VC Effector uses Vitamin C derivatives that are much stabilized (not easy to get oxidized). Though you need not to place it inside the refrigerator, it is always recommended to place skincare product out of direct sun exposure for them to last longer. As below, you can see the formula is quite watery, but not to the extend that it easily drips. The formula appears to be light opaque. It has this lemon and orange fruity scent. Very soothing. 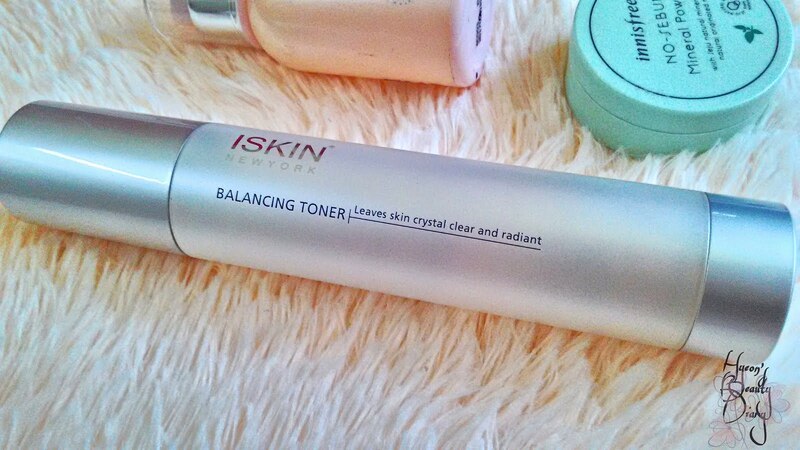 Take an appropriate amount and gently pat onto your skin until it fully absorbed. 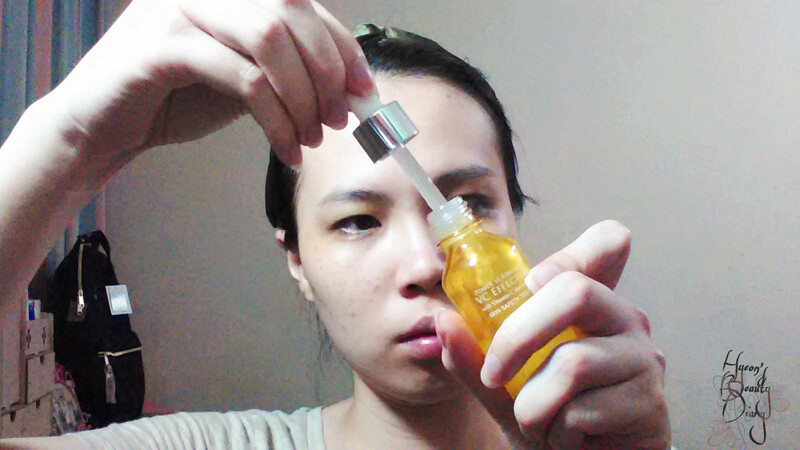 For me, the serum quickly absorbed into my skin and gives that soft and moist texture which I'm very satisfied. 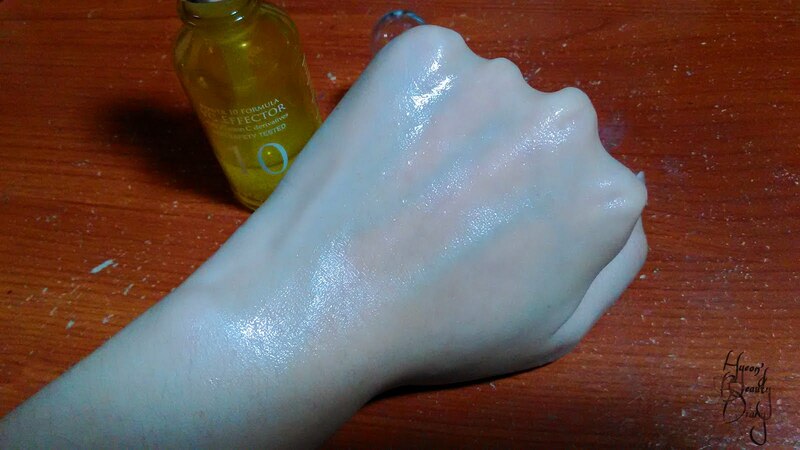 Despite the whitening effect, the reason that I would repurchase would be its instant deep moisturizing effect and price affordability. Since it is serum type, the skin tends to absorb better and quicker. 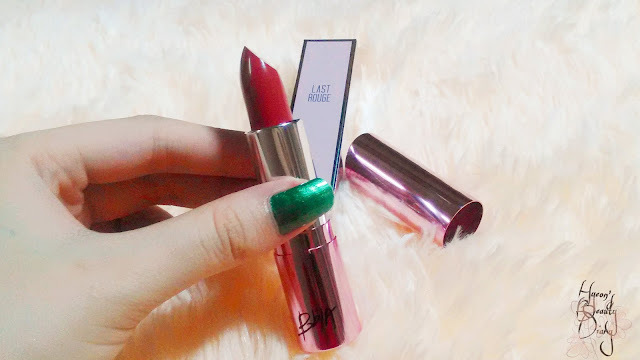 After a long wait, I'm back with another lipstick review. I'm so excited to share with you this product. It is none other than one of my favourite brands - Bbia! I bought it for KRW7,700 (about RM30+ including postage fee). 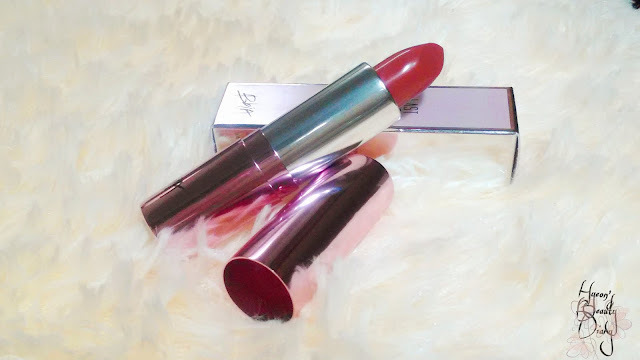 I love the fact that the formula is creamy velvety as it claims. 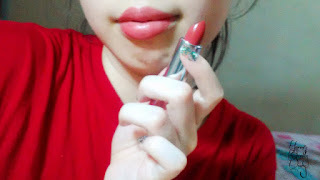 It just glides smoothly on the lips. The color transferred beautifully from the tube onto the lips. However, I felt that this lipstick may gives the feeling of dry lips (not to the extend of cracked lips, for me). 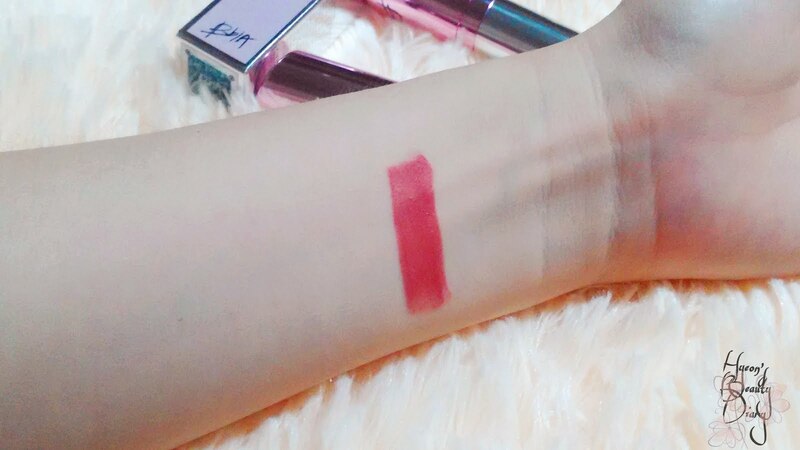 Plus, due to its creamy velvety formula, I felt this lip product isn't long lasting. It requires constant touch-up in order to have the color on point. Repurchase: Yes, provided it doesn't discontinue. 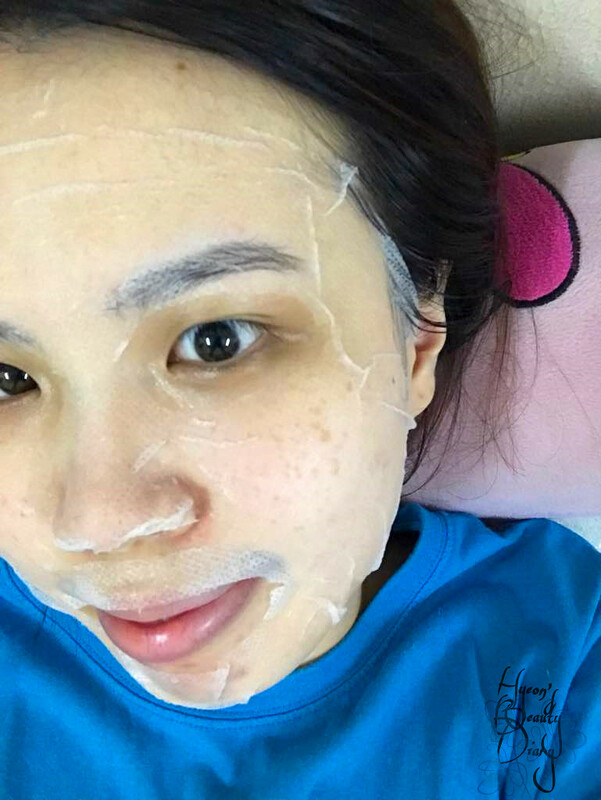 Sheet mask is always a go-to Asian beauty product as it has a lot of benefits - i.e. 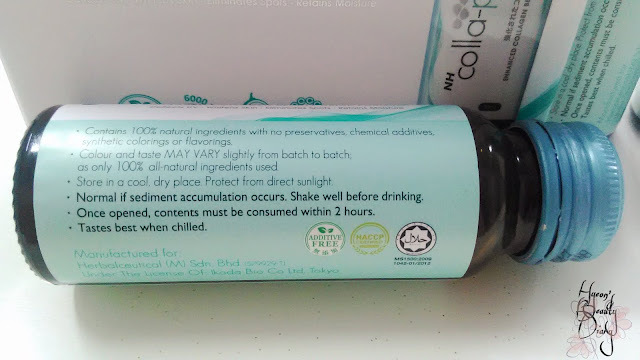 convenience, spa relaxing sensation, extra hydration boost and so on! Recently I read a Chinese blog article about this 8-minute mask sheet pack. It seemed like it's gaining popularity lately. 8 minutes? Sounds too good to be true. It's like half of the masking time for most sheet mask. 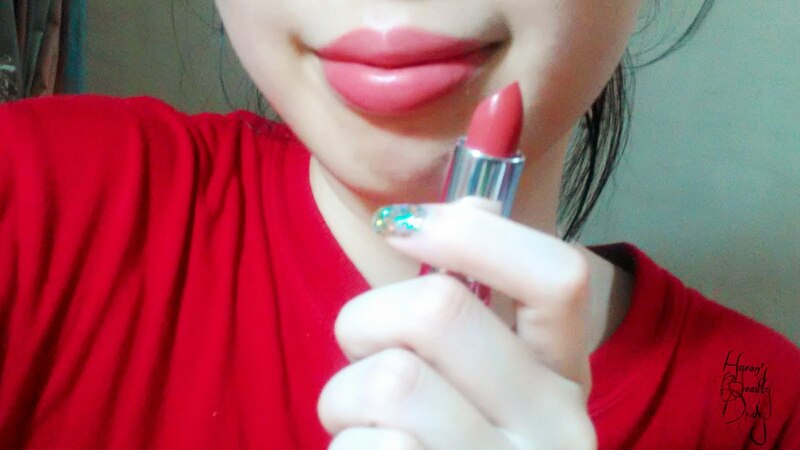 Coincidentally, Hermo online beauty shopping website was having store promo, and curiously I bought a box of 5 pcs to try them on. Apparently the blue one with the moisturizing effect is their best seller. However it was out-of-stock the time when I was browsing the website. Instead I purchased this, purple one, with soothing effect (as well as moisturizing. clearing and repairing). 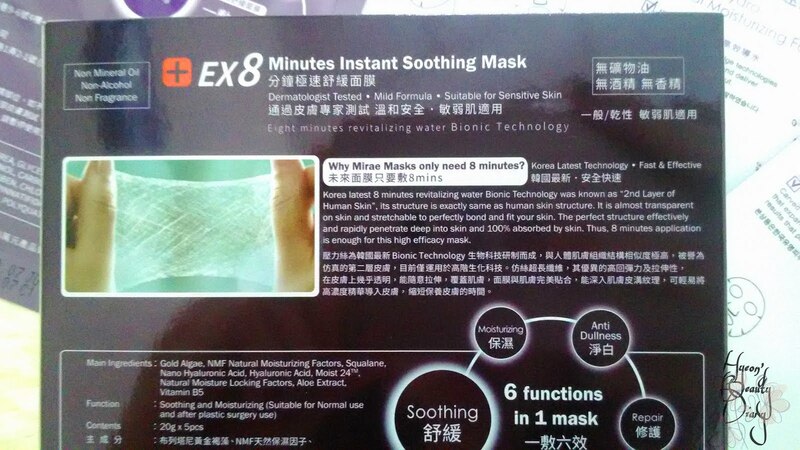 that will enhance the penetration of essence in order to achieve the benefit of a 20-minute sheet mask in 8 minutes. 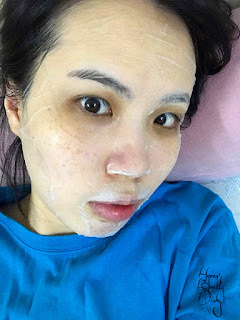 Side fact: Mirae is from the same manufacturer of LOVEMORE and SEXYLOOK sheet masks. 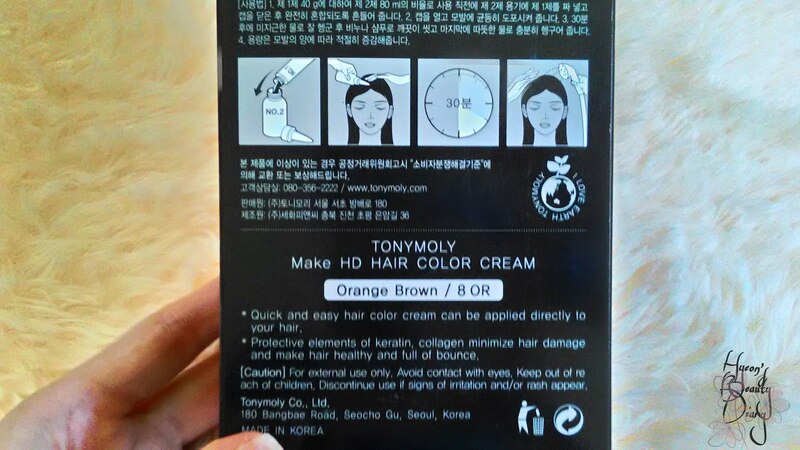 Despite both the origin and the brand name would easily caused us to relate to South Korea, this in fact is "made in Taiwan" product, registered under a Taiwanese company. 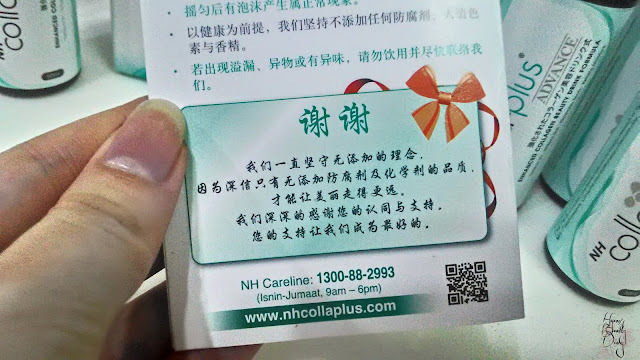 That's why you would noticed the description is all written in Chinese. Fun fact: Even their brand ambassador, Clara Lee, is a South Korean actress, which played a part in the confusion. - Main ingredient （主成分）: Golden Algae, NMF (Natural Moisturizing Factor), Squalane (plant extracts), Nano Hyaluronic Acid, Hyaluronic Acid, Moist 24, Natural Moisture Locking Factors, Aloe Extract, Vitamins B5. 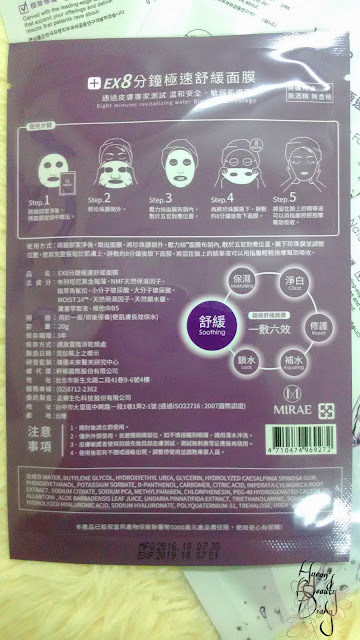 It comes with an extra cover layer/plastic foil which you’re supposed to peel off after you're done adjusting the mask (both layers together) onto your face. Bear in mind, it is indeed an useful tip. If you stripped the plastic foil before placing the mask onto your face, it is much more hassle to adjust the sheet mask since it is SUPER thin! 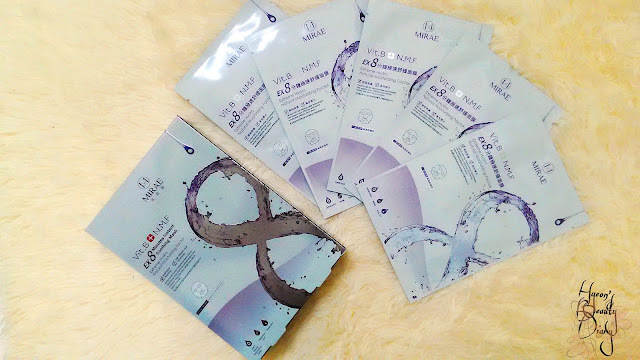 Almost half the thickness of the average Korean roadshops sheet masks. 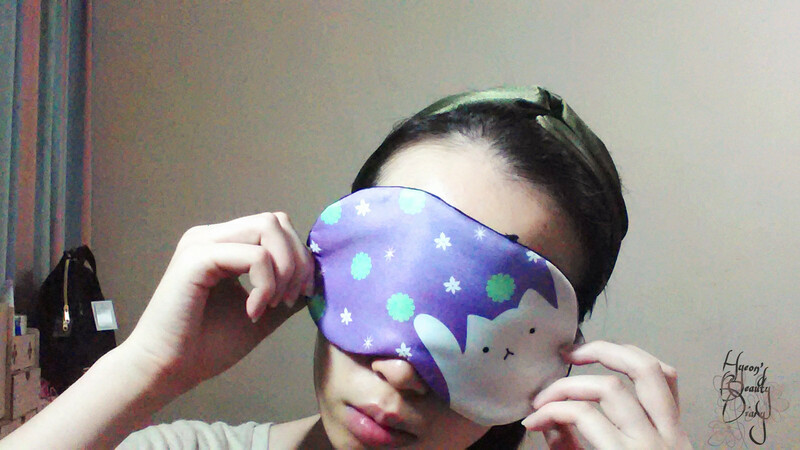 The size of the mask was just alright for me (I have a big face >_<). Anyway, since the sheet mask is so thin, you can customize it by stretching or overlapping the sheet mask to fit your face. And because it's super thin, it literally adheres once it touches the face! Perfectly fitting. Since it claimed to has no mineral oil, no alcohol nor fragrance, the essence itself has almost no scent at all. 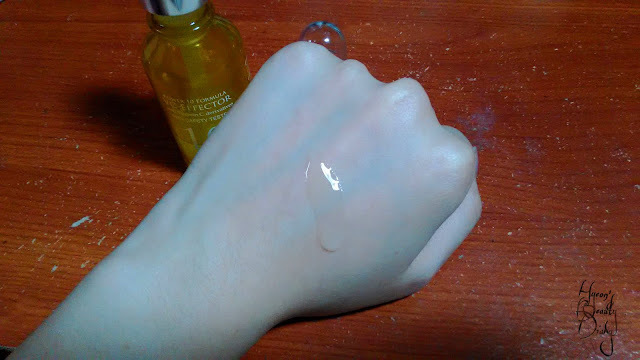 Despite the texture was watery, it wasn't too watery until the essence drip all the way down the neck while I was applying the mask. To my surprise, the remaining essence inside the bag is about 2~3 tbsp! What I usually do is to collect the leftover essence inside a clean travel bottle, and apply it in my daily skincare routine. Well, not a big problem. I really enjoyed the super thin feature of this sheet mask. It somewhat feels like my skin still can breath underneath the sheet. Very comfortable to wear. What I observed immediately after applying this sheet mask is that my skin appeared to be softer and well moisturized. The moisturizing effect even lasts to the next morning. the 8 minute mask is good for hydration and a quick skin pick-me-up. Well the results may differ from people to people. My younger sister tried for the first time and yet she didn't feel much of a difference on the next morning. At the same time, surprisingly my dad became a big fan of this super thin and deep moisturizing sheet mask ever since his first use. Rating: 4.5/5, a quick skin pick-me-up item for intensive hydration boost. Recommend: Highly recommended for normal and sensitive/dry skin. 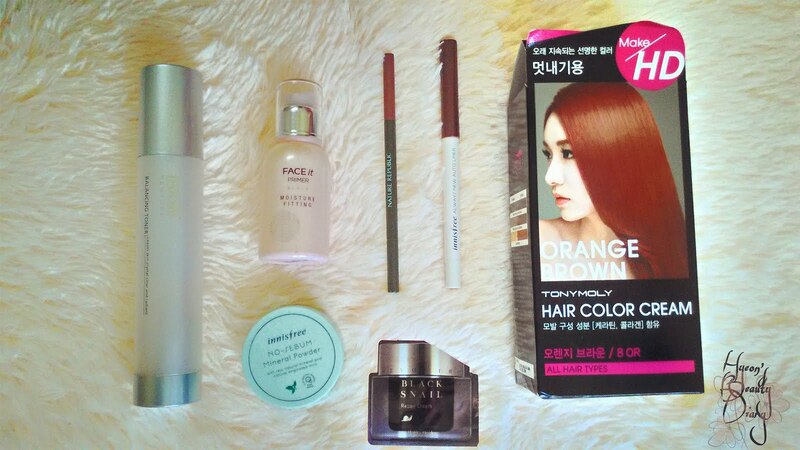 Repurchase: Yes, I would like to try out the Aqua effect (blue one). [Review] Lizly - What a Chic Palette!